Since most people know of Asbestos as used in insulation for many things, they begin to assume that it’s a man made product. Actually, it’s a naturally occuring metamorphic mineral found in many parts of the world. Canada has been the leading producer of asbestos for years now. It’s found in a fiber-like form, which is what makes it useful for insulation in pipes, walls and buildings. There are other uses for asbestos in addition to insulation, such as when asbestos and concrete are mixed together, a stronger form of concrete is formed, which saves on the amount of concrete needed to be used. Since asbestos is made up of many tiny microscopic fibers, they can sometimes be released into the air when disturbed by quick movements. When there are large clumps of these tiny fibers placed together in a tight location and then adjusted, these fiber-like particles can be released into the air. The particles can also stick to clothing, and other things around our homes or workplaces. Once they are in the air, we begin to breathe in these particles unknowingly, since they are naturally easy to inhale because of their tiny lightweight size. Inside our body, they cannot be broken down or destroyed once they have entered the lungs, thus resulting in these tiny microscopic particles eating away at the mesothelium lining of our lungs, causing mesothelioma. If the asbestos in your walls as insulation is in good condition, then its best to just leave it alone. There shouldn’t be any unsealed cracks or spaces from your wall to your house. If there is any, and there is also disturbed asbestos in your walls, then this means that the asbestos particles could eventually float there way out of the wall and into the air that you breathe in your home. Also, hiring the right person for the job in the first place can make sure you never have to worry. It’s never a good idea to hire a cheap company to install insulation, only to risk your life to simply a bad installation. Once you begin to notice coughing and shortness of breath or other symptoms, it’s already too late. If you are diagnosed with mesothelioma, you will need to find a doctor that specializes in this type of cancer. 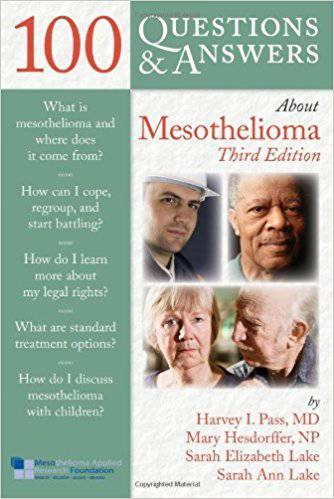 You will also need to a mesothelioma lawyer to get the compensation you deserve to cover medical expenses. To repair any building that has had problems with asbestos in the air, most likely this involves hiring a trained professional to the location to remove disturbed asbestos and also seal the holes or spaces in your walls that are leading the particles into your home. There are certain types of sealants or other materials that are used to link the asbestos fibers together once again and make sure it isn’t disturbed and released into the air once again. Any pipes that have insulation around them, which contains asbestos, can be covered with any sort of protective wrap or jacket where the asbestos-filled insulation is exposed. It’s also never too late to hire someone to come inspect your home or building to make sure no asbestos has seeped through the walls into the air. Preventative maintenance is your best friend when it comes to making sure asbestos isn’t in the air you breathe.